Spiders are common animals to many people but what the majority of them don’t know is that there are more than 30,000 spider species worldwide and approximately 3,500 of them in North America. Here is the list of the most common spiders in New York. While some are frequent in our homes, others spend their entire lives outdoors. In the northern climate of New York, the life expectancy of spider usually is one year only. The majority of them are eggs during winter, become adults in summer and die in fall. Nevertheless, some adult species hibernate in crevices, beneath stones or barks or even in window casements to avoid the harsh weather conditions. One of the most significant characteristics of wolf spiders is their webbing incapability (they dorm create webs), unlike some other spider species. Their strong-sighted eyes help them in their hunting of prey. A wolf spider is large and brown in color, and its back has two dark stripes. Wolf spiders can enter your house and can bite a person if provoked. A bite by a wolf spider may make you feel a slight stinging sensation but will leave you with just a small mark or wound. They are found most often around your home and in the grass. One interesting fact about the wolf spider is the mother will carry her live young on her back. This is a scary sight and if you try to kill one by smashing it you will release the babies that will scatter all over the place. 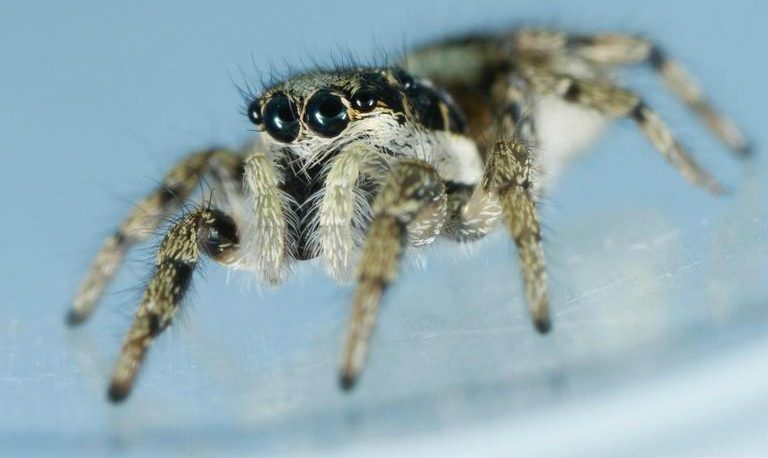 Just as their name suggests, jumping spiders have excellent capability to jump very high. In fact, a jumping spider can jump as high as 25 times of its height. The spider’s main body and legs are thick, making it share some resemblance with the tarantula. Just like a wolf spider, a jumping spider has good eyesight as well, but it is unlikely to bite a person. An American House Spider is a common spider species in human dwelling places. Unlike wolf spiders, American house spiders do web. Their webs are small and commonly found in hidden corners of living rooms, bathrooms, and hallways. The spiders create those webs to trap their prey once it steps on them. To catch enough prey, American wolf spiders build very many webs in your house. If you come across a spider hanging upside down from a web in your basement or other damp and dark spots in your home, then you are most likely dealing with a cellar spider. 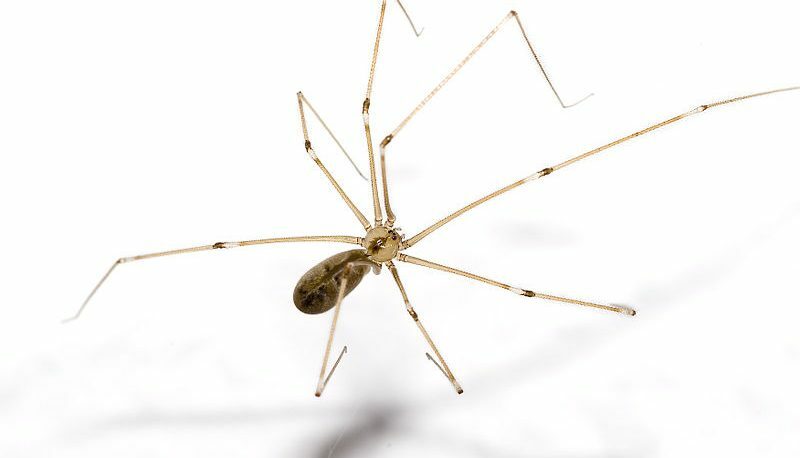 The most prominent cellar spiders are known as daddy longlegs. Just as the name suggests, daddy long legs spiders have very long (about two inches), and thin legs and this help them to move very quickly. When they feel threatened, these spiders wiggle in their webs until they become almost invisible or run away at a very fast pace. However, some of them (short-bodied cellar spiders) have shorter legs, about half inch long. All cellar spiders have tan or gray bodies. From their name, Orb Web spiders are great web creators, and they not only form webs but create them fabulously. However, it is rare to find an orb web spider in its web. Instead, it prefers to stay outside the web. Since the preys of these spiders are mainly big insects such as moths, their webs are usually not found in your kitchen but close to outdoor lights where the preys flutter around. These spiders also eat hummingbirds as well as frogs. They neither harm people nor do they have venom. 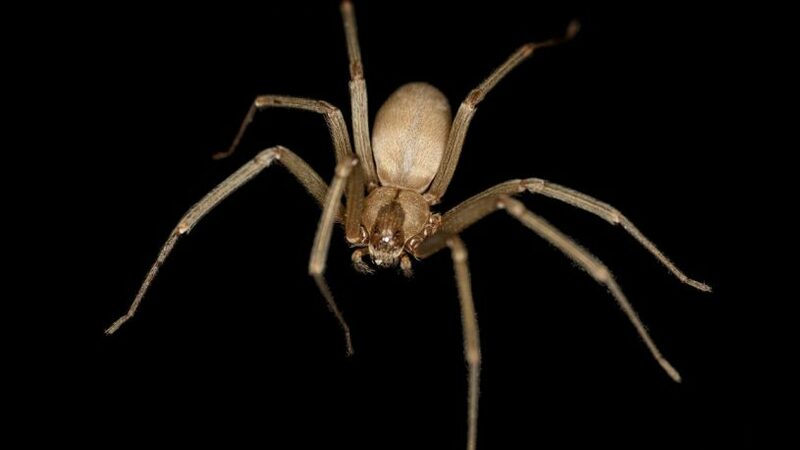 Brown recluse spiders are dark brown in color, and each has six eyes in pairs. They are among the most poisonous home spiders in the United States, and their bites can cause damages to human body tissues. Fortunately, these spiders rarely enter human-made structures. One of the most compelling reasons to receive professional help for you is because some of them are dangerous because they are poisonous. Now we are not saying that every single spider you find in your home is poisonous, all we’re saying is that it is possible to have a poisonous spider in your home without your knowing it. Why put yourself in harm’s way, unnecessarily? Control Exterminating is just a call away. We service Queens, Bronx, and Brooklyn areas. 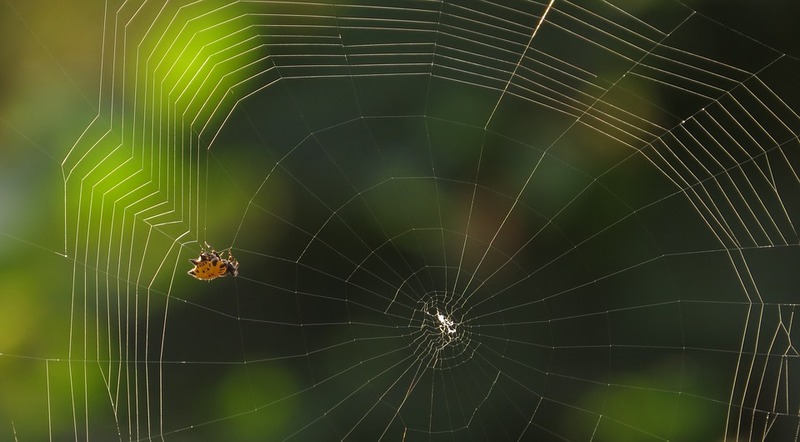 You don’t have to live with the threat of being bitten by a poisonous spider as long as we are here to service your needs. We caution you against using store bought products because they are often made with harmful chemicals. These chemicals are not only harmful to you but they are also harmful to your pets and the environment.